In addition to any conditions stated in your offer, the following terms and conditions apply to all offers of admission to full-time and part-time programmes based at Northumbria London Campus (“NLC”). The purpose of these terms and conditions is to set out the contract between you, NLC and Northumbria University (the “University”). These terms and conditions contain the obligations that NLC and the University have to you as a student of NLC and the obligations that you have to NLC and the University. You will be a student of both NLC and the University. NLC will deliver most services to you, which are explained later in these terms and conditions. You will be a student of the University only for the purposes of making the academic award available to you and the services which the University agrees to deliver to you in these terms and conditions. Your offer specifies information relating to the programme on which you have been offered a place, including the term dates, duration and the tuition fees. It is only valid for the intake stated. The University reserves the right to withdraw an offer or a Confirmation of Acceptance for Studies (CAS) if it is found that you have either provided false or misleading information or have omitted relevant information in your application. Acceptance of the offer can either be defined as paying the deposit or confirming in writing that you accept. Please note as per UK regulations you have a 14 day cancellation period where you are able to cancel the programme and receive a refund. This period commences when you accept your offer. This refund will be subject to a £150 administration fee and subject to a deduction based upon any services received. Please note that this regulation is restricted to self-funding students. The £150 administration fee relates to services provided by NLC in the application assessment and production of offer letter. NLC will determine your fee status upon application and ID requirements. Places for UK and EU students are restricted and fill quickly. Please note that should your fee status change before you begin your course, it may not be possible to offer you a place as a home fee payer if there are none available. Please note fees differ based upon your status at the application stage. If you applied to NLC via an intermediary such as an agent, representative or educational institution NLC will normally communicate with you about your admission via the intermediary. NLC also reserves the right to pass information about your admissions and enrolment status and about your programme attendance and to send a copy of your Confirmation of Acceptance for Studies (CAS), for international students, to the intermediary which is referred to in your application. By proceeding with your application you are consenting to your data being processed by the University (as Data Controller) and NLC (as Data Processor). Your data will be used for the purposes of handling your application and sending you information about the University and NLC relevant to your application. Neither the University nor NLC will pass your details on to any third party except for any intermediary as referred to above. As a Data Subject you can opt-out of communications from the University and NLC at any point by writing to International Development, Northumbria University, 22 Ellison Place, Newcastle-upon-Tyne, NE1 3ST or emailing international@northumbria.ac.uk. If you have received an unconditional offer and wish to accept it, you must complete, sign and return our Offer Acceptance Form. You must also pay your deposit and send us your completed Deposit Payment Form. If you wish to request a Confirmation of Acceptance for Studies (CAS) in order to apply for a Tier 4 (General) Student Visa to study at NLC, you must indicate this on the Offer Acceptance Form and, before any CAS is issued, you will also be required to provide additional proof to the University that you have met specific requirements of the UKVI. Please note: When you request your CAS it is your responsibility to do so allowing enough time for your visa to be processed, as we cannot guarantee at peak times to issue CAS at short notice. Once you have met all our conditions and paid your deposit, you should submit your Offer Acceptance and CAS request to the International Office. If you accept your offer and request a CAS after these deadlines, please note that we cannot guarantee to process a CAS for you in time for your visa application. CASs are issued in the form of a letter which will show the key information which was submitted to UKVI to generate your CAS number. It is your responsibility to check that all the details in the letter are correct before you apply for your visa and you must inform the University if you believe any details are incorrect. The University cannot accept responsibility for entry clearance decisions arising from the information we have provided to UKVI regarding your CAS. If your visa application is refused, you will need to request a new CAS in order to submit a new visa application. It is your responsibility to apply for the appropriate visa (Entry Clearance) from your country of residence, permission to change sponsor – if you already have permission to study in UK at another institution, or Leave to Remain if you need more time to complete your studies at NLC. It is your responsibility to cover all costs associated with any of the above visa applications and you must ensure that you have the appropriate valid visa throughout your studies. It is essential that you comply with the terms of your visa and do not breach any of the conditions attached to your permission to study here. If and when you need to renew your student visa it is essential that you do so as early as possible in advance of the expiry date of your current visa. If your course is full-time and six months or longer you must obtain a Tier 4 (General) Adult Student Visa bearing the University’s Sponsor Licence Number prior to your enrolment. To apply for a Tier 4 visa you will need a Confirmation of Acceptance for Studies (CAS) which you can request from us once you have accepted your offer, paid your deposit and met all academic and English language conditions. It is also your responsibility to ensure that you have held the correct amount of funds in your bank account for 28 days when you apply for your visa. Failure to do so will result in your visa being rejected and jeopardise your chances of joining your programme. Most students coming to study on a full-time programme at NLC will require a Tier 4 (General) Student Visa. If you already hold a Tier 4 (General) Student Visa which was issued by another UK higher education institution, you will not be able to enrol with us until you have made an application for a new Tier 4 (General) Student Visa which bears the University’s Sponsor licence number on it. 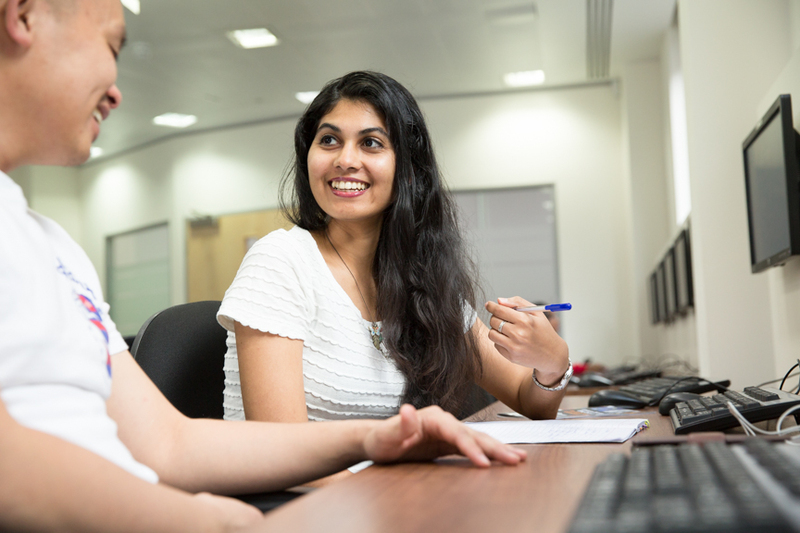 To start the visa application process you should contact our Welfare and International advisors in the Student Support and Wellbeing service by emailing sv.welfareandinternational@northumbria.ac.uk. If your course is shorter than six months and if you choose to apply for a Student Visitor Visa please note that whilst you are in the UK you will not be able to renew this type of visa or switch to a Tier 4 (General) Student Visa in the UK and will need to return to your home country to do so. Please refer to https://www.gov.uk/government/organisations/uk-visas-and-immigration for details. International students who wish to apply for a part-time programme whilst in the UK should ensure that they have a visa which is valid for part-time study and valid for the full duration of their programme. In order for the University to sponsor you with a CAS for your Tier 4 visa application, the University needs to hold evidence that you have achieved the required level of English language competency – as defined both by the University for entry to your course and by UKVI for visa purposes. Please note that the UKVI requirements for English language are in addition to the University requirements. Please contact the London.enquiries@northumbria.ac.uk or visit the UKVI website for further details. UKVI have imposed a limit to the number of years a student can study in the UK – therefore if you have previously studied in the UK it is advisable for you to check that you have enough time left to enable you to complete your course. Please contact International Admissions for advice or consult the UKCISA website at www.ukcisa.org.uk/student/immigration.php for further details. Students who wish to defer their offer for entry to a later intake should do so before using their CAS (if one has been issued) and should request a new CAS for their deferred course. Any CAS which has been used after a student has decided to defer will be withdrawn if the visa has not yet been granted. In cases where the visa has already been issued, UKVI will be notified so the visa can be curtailed. When you enrol you must present a Tier 4 (General) Student Visa bearing the University’s Sponsor Licence Number, or another type of visa which is recognised by the UKVI as valid for study in the UK. If you do not have a valid visa you will not be allowed to enrol and should seek advice from the Student Support and Wellbeing Service. If you have a Tier 4 (General) Student Visa which was issued for study at another UK institution, you may be allowed to enrol if you can provide evidence that you have applied to UKVI for new leave to remain for study at NLC and can also supply proof that you satisfy the financial requirements for your new visa. You should be aware however, that if your visa application is refused, you will not be able to continue with your studies. At enrolment you must also present your valid passport and your original qualification documents. When you enrol you must provide evidence from Student Finance England that you have either been approved for Student Finance support or that you have made an application to Student Finance England. Evidence may include showing your online SFE account to a member of staff. When you enrol you must present physical copies of your valid passport, driving license, visa or previous certificates and qualifications as advised in your offer letter. If your offer comprises more than one stage, level or year, progression from one level or year of your programme to the next is subject to your completing and passing the programme assessments for each level. If your offer includes a Pre-Sessional English language programme you must attend the programme and obtain the relevant grades for progression to your target programme. As a Sponsor of Tier 4 (General) Student Visas, the University has a duty to fulfil certain record keeping and reporting duties, which include keeping copies of your current passport and visa; recording your contact details; passing information on your admission and enrolment status and your attendance to the UK Visas and Immigration (UKVI) and other UK governmental bodies. We also reserve the right to contact UKVI to seek information on your immigration history where necessary. If you renew or change your visa at any time during your studies, we will require you to provide us with your new visa details. The University is also required to monitor the attendance of all students and where attendance is deemed unsatisfactory, is obliged to report this to UKVI and other UK bodies. (By attendance we mean attending lectures, seminars, group work sessions, placements, compulsory field trips, meetings with supervisors and all other relevant course activities). If you do not comply with the conditions of your visa, for example if you do not enrol at NLC by the last permitted enrolment date; if you withdraw; are withdrawn from your studies; interrupt your studies; are excluded for non-payment of fees; if you fail and are not permitted to repeat or if you do not attend your programme, the University will inform these bodies. It is your responsibility to ensure that you understand the implications for your visa in relation to any of the above. If you are uncertain about your status, for instance if you cannot attend because of illness, then you must seek immediate advice from the Student Support and Wellbeing Service. It is essential that students should aim to arrive at NLC in time to attend their enrolment and induction sessions, as these sessions aim to give students the best possible start to their studies in the UK and to NLC life. Students who arrive late and miss these sessions may find settling into their studies more challenging. We understand however, that there are occasions when students, who for unavoidable reasons, cannot arrive in time for their enrolment session or for the start date of their course and in these cases may be allowed to enrol late. Students will not be allowed to enrol after the last enrolment date and any student unable to enrol by this date should not travel to the UK. If the student has not enrolled by the last enrolment date then it is the student’s responsibility to contact NLC to arrange a transfer to the next available intake. Transfer requests must be submitted no later than 14 days after the last enrolment date. Transfer requests will be considered by the NLC management team. In cases where sufficient reasons/evidence are provided, the deposit paid will be transferred to the new intake with no additional costs incurred. If it is deemed by the NLC management team that the student cannot provide acceptable evidence/reasoning for a transfer then the transfer request will be declined and no refunds will be issued. Please note that the 14 day cancellation UK regulation will still be offered. Please note that these extended dates do not apply to Professional Law Courses or Summer Pre-sessional English Programmes. 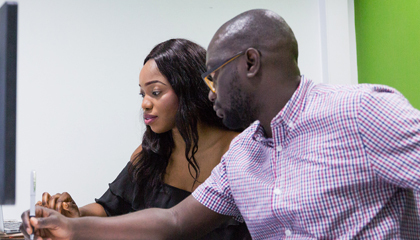 Students holding offers for these programmes are advised to seek advice from International Admissions if they cannot arrive in time for the start of the course. It is essential that you provide your live personal email address and your home address and telephone number on your application form and a copy of your current passport. You must tell NLC immediately if there is any change to any of these details. Important information regarding enrolment and admission and the Confirmation of Acceptance for Studies (for international students) is sent to the student’s personal email address. We also require international students to send us a copy of any previous Tier 4 visas you have obtained for the purpose of any previous study in the UK. If you wish to withdraw, defer or interrupt your studies you must follow the relevant University procedures. For details of the fees payable in these circumstances please see the Finance Section. NLC does not allow international students to defer their place once they have arrived in the UK. For those students withdrawing from the programme or where students are withdrawn by the NLC, the fee liability is calculated by reviewing the date of the submission of the withdrawal form and applying a pro rata fee against the number of weeks of teaching completed and the total number of teaching weeks. Please note international students are not permitted to interrupt their studies due to UKVI requirements. For those students withdrawing from the programme or being withdrawn by NLC, the fee liability is calculated by reviewing the date of the submission of the withdrawal form and applying a pro rata fee against the number of weeks of teaching completed and the total number of teaching weeks. For those students who interrupt their studies, fee liability will be calculated dependant on modules completed and a pro rata fee agreed. This fee will need to be paid in full before the interruption is processed. Students are only permitted to interrupt studies on one occasion and will be required to submit documentary evidence to support any interruption request. Students are permitted to interrupt their study for a maximum of twelve months. Where students require longer than twelve months they will need to withdraw from the programme of study and re-apply. Please note that interruption to study requests will not be approved when the student is citing financial reasons. Students must have acceptable personal extenuating circumstances. The approval of any interruption to study request will be made by the directors of NLC. In instances where a student has a credit balance on their account and has not restarted their study after twelve months from interruption, the credit balance will be forfeited to NLC. In addition to these terms and conditions, all applicants and students are required to abide by the Handbook of Student Regulations which explains students’ rights and obligations. It covers areas such as enrolment, disciplinary rules, and complaints procedures. Please note in particular the Student Enrolment Conditions which form the basis of your contract for tuition with NLC and the University. The Handbook can be found on our website at https://northumbria.ac.uk/about-us/leadership-governance/vice-chancellors-office/legal-services-team/handbook-of-student-regulations. For the avoidance of doubt, in the event of any conflict between these terms and conditions and the provisions of the Handbook of Student Regulations, these terms and conditions shall take precedence. If you cannot access the Handbook on our website please request a copy from International Admissions or NLC. NLC is run in partnership with QA Higher Education – a UK higher education provider. All of our programmes at the London Campus are validated by the University and taught by QA Higher Education and University staff. The University and QA Higher Education will use all reasonable efforts to deliver the programmes as described. 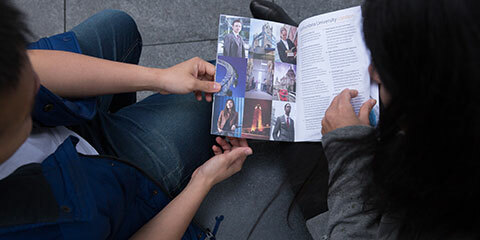 The University and QA Higher Education reserve the right to withdraw or change the programmes or programme combinations included in any publicity material. These changes will only be made as a result of UK legal compliance, minimum student number requirements or for course validation reasons and applicants will be contacted at the earliest opportunity by the University or QA Higher Education in the instance of these changes occurring. Please check the website for up-to-date information on our programmes. International students are required to pay a deposit as detailed in your offer letter in advance of enrolment. The deposit allows students holding an unconditional offer and meeting all other requirements to secure their place and, for international students to receive a Confirmation of Acceptance for Studies for visa purposes. You may wish to pay your fees in full early and benefit from a discount (see Early Payment Discount details). International students: Please pay as early as possible to allow enough time for your Confirmation of Acceptance for Studies (CAS) to be issued prior to your visa application. International students: If your deposit payment is not honoured by your bank after the University has issued your CAS, the CAS will be cancelled or withdrawn until such times as a new deposit payment is made and cleared. In this situation any further payments should be made by an alternative method to that which was used for the original payment. We strongly recommend that you pay your deposit in one single payment. International students should please note that at peak times, we cannot guarantee that any subsequent payments can be added to the details in your CAS once it has been issued. If it is possible to do so, please be aware that we cannot guarantee that this will be done in time for your visa to be processed. b) Your tuition fees are paid by a Sponsor which is recognised by NLC. Tuition fees for your programme(s) are stated in your offer letter. if you have serious personal extenuating circumstances which prevent you from studying overseas, e.g. in a serious case of illness. *if your visa is refused, we will require you to provide your notification of refusal no later than 4 weeks from course commencement date. You will be required to send a copy of the complete visa refusal documentation you have received from the UKVI with your refund request form. Please note we will not refund a deposit paid in the case of visa refusals which were made on the basis of fraudulent documents or misleading information. If you have had a prior Visa Refusal and have not disclosed this information to the UKVI then no refund will be issued. Refunds are at NLC’s discretion and will only be given where NLC is satisfied that there is evidence of serious personal extenuating circumstances. Please note approved refunds are subject to a £150 administration fee and subject to a deduction based upon any services received. Please note as per UK regulations you have a 14 day cancellation period, commencing from the date you accept your offer, where you are able to cancel the programme and receive a refund. This refund will be subject to a £150 administration fee and subject to a deduction based upon any services received. Please note that this regulation is restricted to self-funding students. In any of the above circumstances, subject to NLC’s, you would receive a full refund of the deposit amount and of any additional tuition fees you had paid in advance for the academic year minus the administration fee and any other associated costs, which include tuition costs for the classes that have been completed prior to refund request submission. To request a refund you would need to complete a Refund Form, attach the required documents and send it to the NLC Office. All refund requests submitted where the student is not intending to study and has paid a deposit must be received no later than 4 weeks from course commencement date. Refunds received after this date will be declined. If you submit fraudulent or misleading information in the UKVI visa application. However, in the four situations outlined above, you would receive a refund of any tuition fees you had paid in advance for the academic year which were in addition to the deposit. If you are unable to pay your fees by the due date, unfortunately you will be excluded from the NLC and the University will obliged to report your non-attendance to the UKVI (international students only). However, the University’s aim is to allow students to undertake their studies without any unnecessary disruption. If you are concerned that you may have problems paying by the due date, please do not leave it until this date but contact our dedicated NLC Finance Department for advice as early as possible. Please note that the University main campus Finance Team will not be able to assist in these matters. Please contact the dedicated NLC Finance Team only. In addition to this information please also refer to the Debt Management Policy in the University’s Handbook of Student Regulations. Tuition fees for the Pre-sessional English Programme are payable in full for each semester before or on enrolment. This payment is made as part of your £5,500 deposit, and the remainder of the deposit will be used as part payment of your tuition fees for your academic programme. £5,500 of the full-time annual tuition fee is due on enrolment – minus any fees or deposit you have already paid for the programme in advance. All remaining tuition fees must be paid before the commencement of semester two studies. If you have been awarded a scholarship, the scholarship amount will be deducted from this final payment. An instalment plan will be agreed with you at enrolment to match the payment dates from Student Finance England of your Postgraduate Loan. Please note all instalment plans must be created no later than 4 weeks from course commencement date. £2,450 of the full tuition fee is due on enrolment – minus any application fee or deposit you have already paid for the programme in advance. The remaining fees may be spread across 24 months, starting from the first month of teaching. Please note we offer direct debit payment structure for self-funding part-time students. If any of the payments for the direct debit instalment plan are not authorised by the bank then the instalment plan will be withdrawn and the full remaining tuition fees will be due immediately. For students who are being sponsored by an employer to complete a programme, 50% of the total course fees will be due before enrolment. The remaining 50% will be invoiced to be paid within the first 12 months of teaching. Academic Scholarship – only for students who have already received confirmation of their eligibility for scholarship award for the same academic year. Country Bursary – eligibility for a Country Bursary where applicable will be confirmed in the offer letter. If you overpay your tuition or accommodation fees for the year any refund due will be processed. However, due to financial regulations refunds cannot be paid to the student directly. Any refund due would be paid to the original account from which it was received. Please also note that the University cannot disburse other payments such as living expenses to students. Please use the information below when making a Bank Transfer payment and always quote your Student Reference Number and your name. Please note, if your Bank Transfer is made in the name of another person for example a relative, this can cause considerable delays in processing. Please note that NLC does not encourage the payment of tuition fees in cash. Where cash payments are made directly into the NLC bank account we will require from the payee to provide evidence of the source of the funds. Evidence is to include the cash withdrawal from a bank account. In instances where a refund is requested and a cash payment was made to NLC we reserve the right to refuse the refund until the appropriate evidence of source of funds is provided.